Happy November! It’s my favorite time of year right now (aside from all of the insane weather we’ve been having here in the Northeast) because as we near Thanksgiving, it means PUMPKIN EVERYTHING!!!!!!!! I’ve always had a weakness for pumpkin pie, and at this point, if I see the word pumpkin in front of anything, I’ll eat or drink it. The other day, we made marshmallows in class and all I could think was, “how good would this taste with pumpkin pie spice! ?” The answer, as you will find out below, is….AMAZING! 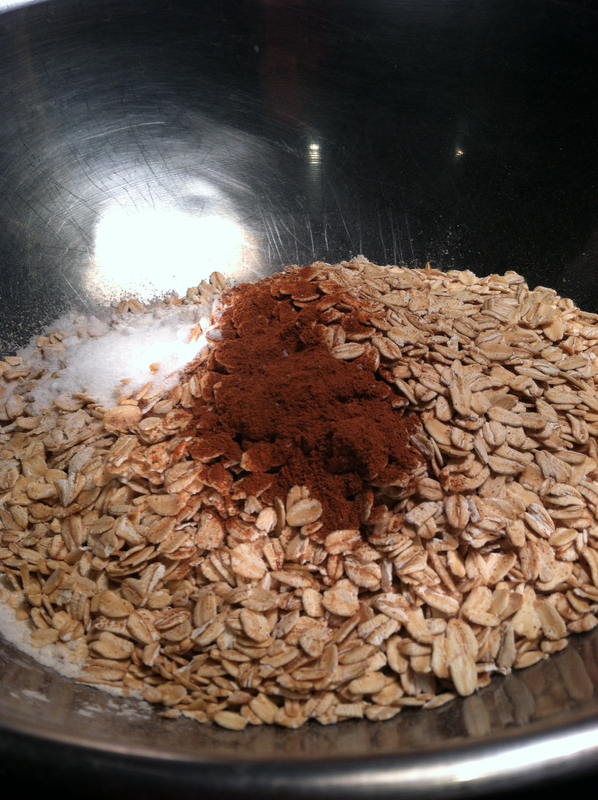 In a bowl, combine flour, oats, baking soda, cinnamon and salt. Mix and set aside. In the bowl of your mixer, fitted with a paddle attachment, paddle the butter until soft and fluffy. Add in the sugars and continue paddling until well combined and nicely creamed. Add the pumpkin, egg and vanilla and mix until just combined. Add the flour in 3 batches, paddling until just combined after each addition. 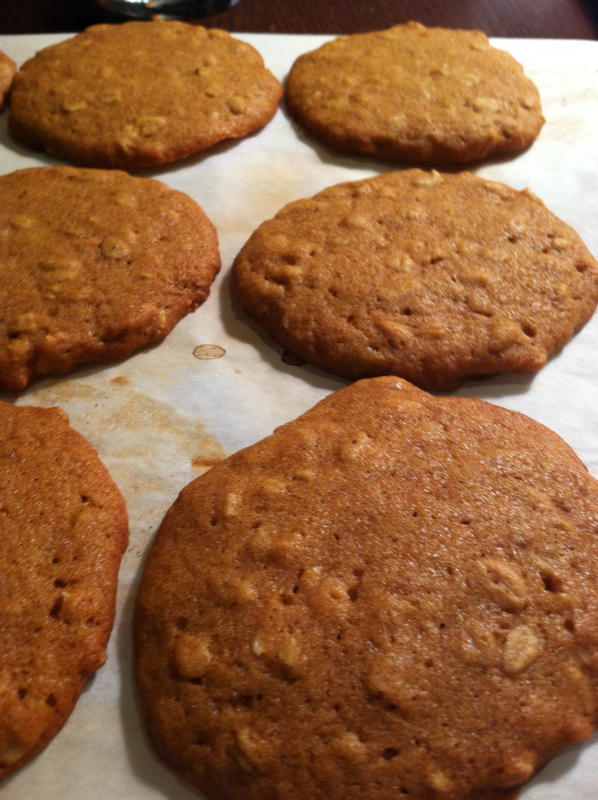 Line your baking sheet with parchment and scoop the cookies using an ice cream scooper. With wet hands, flatten the cookies into discs. 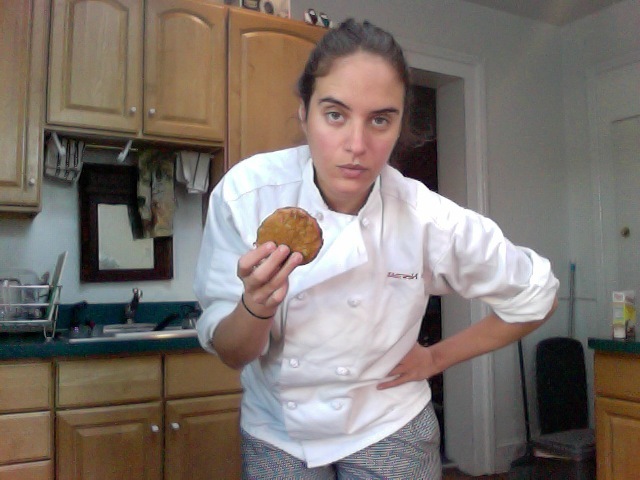 Bake for approximately 10 minutes – you want the cookies to set but remain soft. Cool. In your mixer, begin whipping the egg whites on medium speed. Once they reach soft peaks, turn the mixer down to it’s lowest setting and keep it stirring. Meanwhile, place the sugar in a VERY CLEAN pot and combine with just enough water to make it the texture of wet sand (like you’re building a turret on a sand castle). Add the glucose the sugar mixture and heat over medium heat until the mixture reaches 260 degrees. 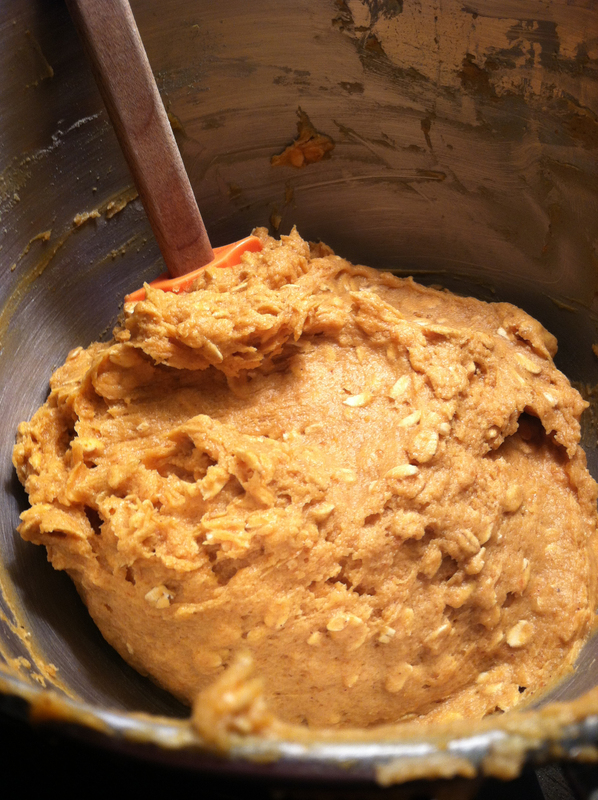 Turn the mixer up to medium-high and pour the sugar syrup in the bowl between the sides of the bowl and the whip. Add the gelatin and increase the speed, mixing until the bowl cools down and the mixture becomes fluffy. Stir in the vanilla and pumpkin pie spice. 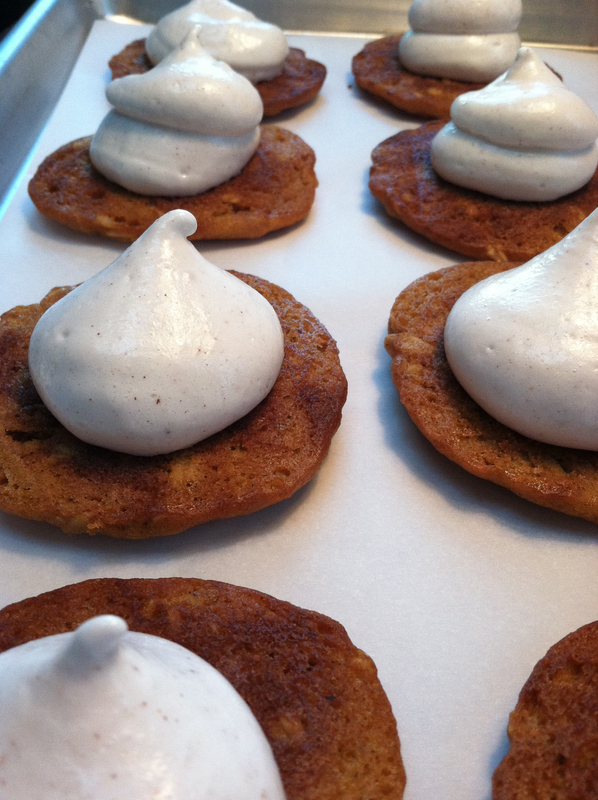 Place the marshmallow in a piping bag and pipe a big old pile of filling on the undersides of half the cookies. Place another cookie on top and enjoy! 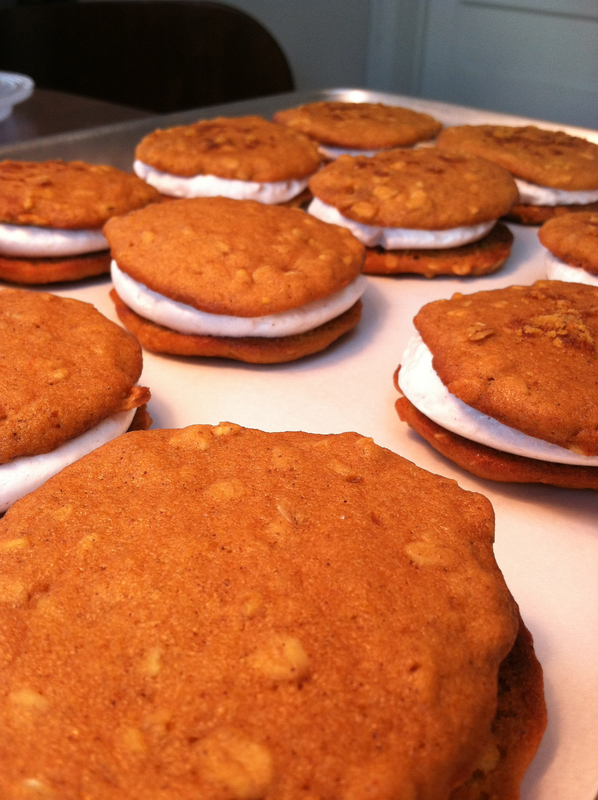 Note: You will have TONS of marshmallow filling so you might want to double the recipe. Or you can save it and use it for hot chocolate or any other confection you can think of!